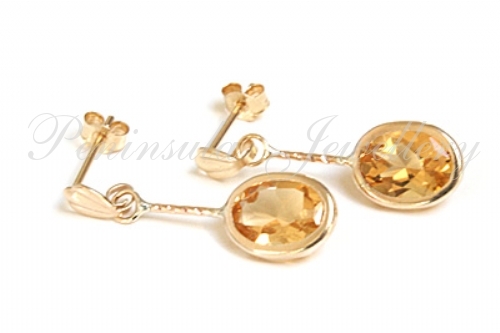 Each earring features one 7x5mm oval cut Citrine gemstone set in 9ct gold and suspended on a rope effect post. 9ct gold posts and butterfly backs. 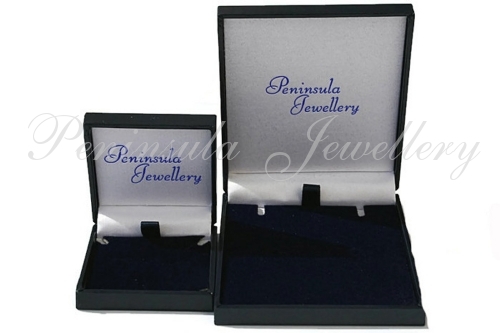 Each gemstone is 52.ct giving a total carat weight for the pair of 1.04ct. Dimensions: 17mm drop, 7mm wide at the widest point. Supplied in a luxury gift box. Made in England.